Discover the Simple Step-by-Step Guide That Will Finally Rub Out Your Elliptical Knee Pain! If you are interested in eliminating your own knee pain or have a client with knee pain that is caused by exerciseing on an elliptical exercise machine and are looking for a fast, simple, safe and effective program that most health & fitness professionals don’t know about or are doing wrong, then read this important letter. My name is Rick Kaselj. I am an exercise and injuries specialist and international presenter for effective exercises for injuries. 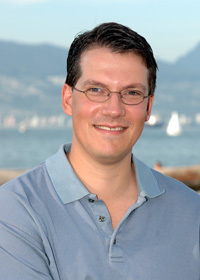 I have written numerous articles that have appear in magazines, fitness association magazine, written leading exercise injury manuals in the fitness industry and taught over 286 presentations to 5536 fitness professionals across Canada and the USA. I’ve developed the Elliptical Knee Pain Solution to help you solve your knee pain due to the elliptical exercise machine. The Elliptical Knee Pain Solution is a combination of 6 years of University study (including a Master’s Degree in Exercise Science), 16 years of hands-on experience, constant search for the best injury techniques. I was working in a recreation centre in 2008 and as you know, things come in threes. I will get to the three thing in a minute but let me talk about the recreation centre. In the recreation centre, we had 6 elliptical machines. They were the most popular type of cardiovascular machine we had. The machines were always busy. Now getting to the three things. Over a two week period, I had three clients approach me about the knee pain they were getting while on the elliptical machine. Why am I getting knee pain while exercising on the elliptical machine? What can I do about the knee pain I am getting when exercising on the elliptical machine? Are their any exercises that I can do to get rid of the knee pain from the elliptical machine? I worked with all three of the clients and was able to get rid of their knee pain and have them continue on the elliptical machine. For each of them I focused on three things that got them pain free. Question: I have been told that I need to strengthen my knee? Strengthening your knee is important but not the only thing you need to be doing in order to overcome your knee pain due to being on the elliptical machine. You need to be focusing on movements that decrease your knee pain which most health and fitness professionals don’t know about. I needed to be honest and realistic. I wanted to say this program will help you in 7 days and I know it will. In fact, I know your knee pain will feel better in 7 days if you follow this program. The reason why I say 4 weeks is if you want the knee pain to be gone for good, it will take 4 weeks to do so. I did not want to give you a temporary fix, I wanted to give you long term relief. In the Elliptical Knee Pain Solution I go through the 3 things you can do to get rid of elliptical knee pain. On day 1, you will wonder if this stuff works but you will have a decrease in knee pain. On day 2, you will want to do more of the program and will feel your knee pain decrease even more. Question: I have a bunch of exercises that I have been given to me for my knee pain? It is not just exercise that will help your knee pain that you get when being on the elliptical machine. There are other things you need to do in order to fix your knee pain and I will go through them in the program. The second thing is the order you do are doing things. The order you do the pain exercisesis important for success. How I explain it to my clients is, it is very much like building a house. You can’t start with the roof and then the windows. You have to start with the foundation, then the framing and then the roof. Question: Are these more exercises that I have to do, along with all the exercises that I got from my doctor, physical therapist, massage therapist….? I learned a long time ago that the biggest thing missing from a knee pain program are movement techniques. I have added these movement techniques to help you target your elliptical knee pain and start relieving it. Question: What is a Video Guide? A video guide is a recorded video presentation that you can download to your computer, burn to a DVD or view right off the internet. You can download the video at work or at home and view it when it is convenient for you. After getting the Elliptical Knee Pain Solution, you will be directed to details on how to access the video guide and the full program. You can then view and download the video guide. The instruction to view and download the video guide are easy and quick to do. You can watch the video presentations at your own pace and re-visit any aspects of the video presentation when you like. You can download the video presentations to your computer and then burn the video presentation to a blank DVD. Question: I was surfing around the internet and found a bunch of knee pain exercises to do? There is a lot of stuff on the internet when it comes to knee pain. This is what I have found about just surfing for knee pain stuff. The thing is, I am sure these exercises are not specific to the elliptical machine. I go through specific exercises for the elliptical machine. You get the Elliptical Knee Pain Solution right away. After your order, you will instantly get access to the reference video guide, assessment and program components. Question: Are there videos of the movement techniques and exercises? I go through all of the movement techniques and exercises, plus point out the key things to each of the exercises so you get the most out of the exercise. Question: Do I need expensive and hard to find equipment for this program? The equipment I use is stuff that is found around the house or common inexpensive fitness equipment you can get at any department store. 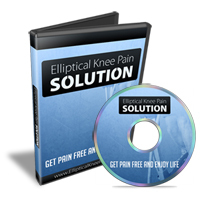 What is in the Elliptical Knee Pain Solution? In this video, I explain the program and the components of the program. It is like you are in an appointment with me where I take you by the hand and explain each component of the Elliptical Knee Pain Solution and how it will help you. I take the time to explain things and help you understand how the program works. I go through the three components to get rid of your knee pain due to the elliptical machine. Now I show you the exercises. I show you how to do the right and highlight how avoid common mistakes people make. This is the guide you can look at or print off in order to follow along in the presentation and the exercises. Click here now to order The Elliptical Knee Pain Solution for $97 $17. In 7 days, if you don’t feel a decrease in your Knee Pain You Get Your Money Back! If that is Not Good Enough, Try Elliptical Knee Pain Soution For The Next 60 Days With A No-Risk, 100% Money Back Guarantee! “Test drive” the Elliptical Knee Pain Solution for the next 60 days with absolutely no risk so you can fix your knee pain due exercising on an Elliptical maching. You can feel completely safe because you are protected by my iron clad 100% money back guarantee. You will not only be satisfied, I guarantee you will be thrilled and amazed with the Elliptical Knee Pain Solution, or you can simply email me and ask for a prompt and courteous, no hassles, no questions asked, 100% refund. In fact, if you’re not completely happy for any reason at all, then I insist that you ask for a refund. However, after seeing so many men and women improve their knee pain in a quick and effective manner, I am confident that you will be thrilled as well. P.S. – There is NO RISK at all for you when you try the Elliptical Knee Pain Solution. If you are not thrilled how this program decrease in your knee pain, let me know and I will refund your order. Your satisfaction is 100% guaranteed. Rick Kaselj has been trusted by the largest fitness & rehabilitation associations in North America (NSCA, ACE, CanFitPro, BCRPA, BCAK, CKA, NHPC). P.P.S – If you are sick and tired of not knowing what to do about your knee pain, now you can find out. Click here now to order Elliptical Knee Pain Solution for $97 $17. 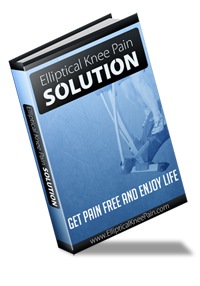 NOTE: The Elliptical Knee Pain Solution is a downloadable video and e-book. No physical products will be shipped. After you order, you will get INSTANT ACCESS to download the video and e-book. The e-book format is adobe acrobat PDF, which can be viewed on Mac or PC. The video format is MP4 which can be viewed on Mac or PC. If you have any questions or need help, you can contact us at support (at) ExercisesForInjuries.com.